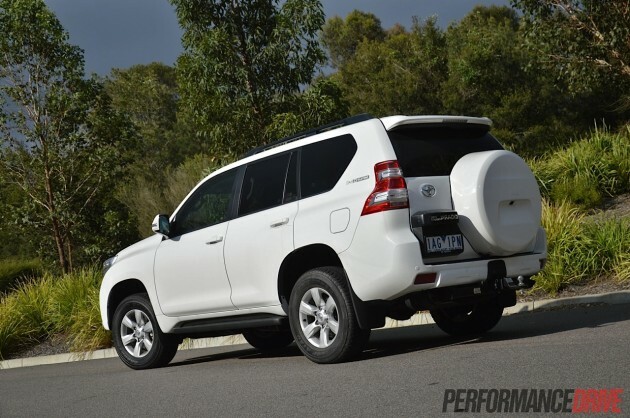 Toyota has been at the forefront of SUV sales for decades now, proving itself time and time again with products that are dependable, capable, and affordable. 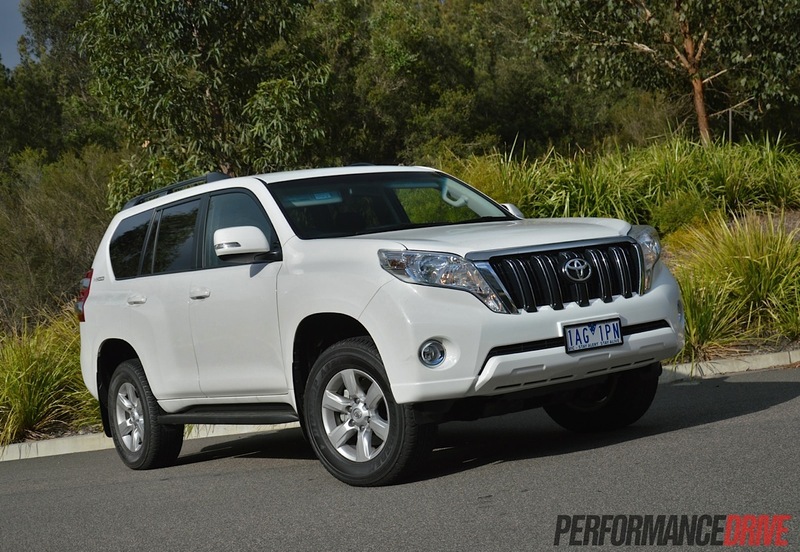 The 2014 Toyota Prado is out to perpetuate the success, and swipe sales from the Ford Territory and the increasingly popular Jeep Grand Cherokee. 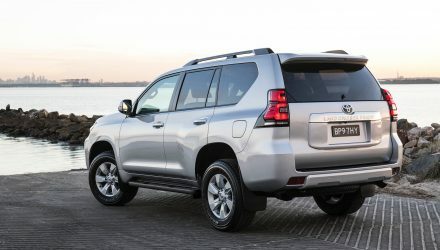 Sitting in the company’s lineup as the second-largest SUV, beneath the grand daddy of them all, the LandCruiser, the local Prado nameplate has built itself quite a reputation since it was conceived in 1996. 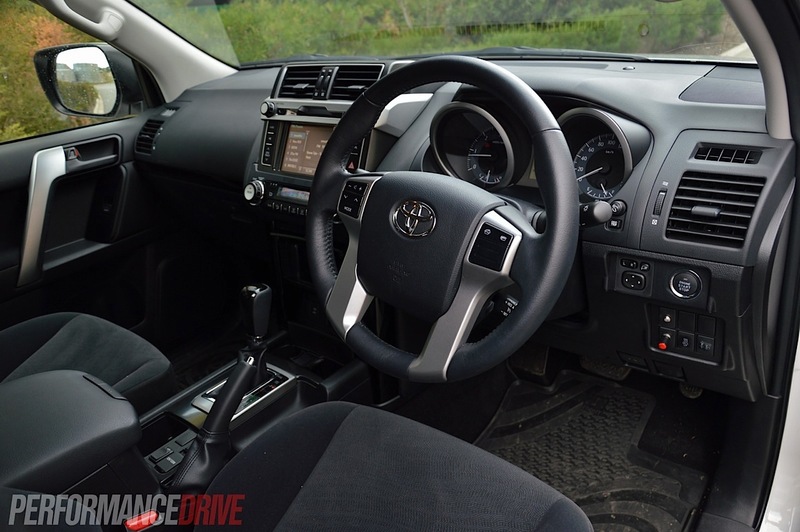 For the 2014 edition, the robust underpinnings remain unchanged from the fourth-gen model launched in 2009, however, the interior has been given an overhaul and now comes with more modern features and a spruced up design. The exterior is also dressed up to be in line with the company’s latest styling language, and some refinements have been made to the running gear. Power units are unchanged. 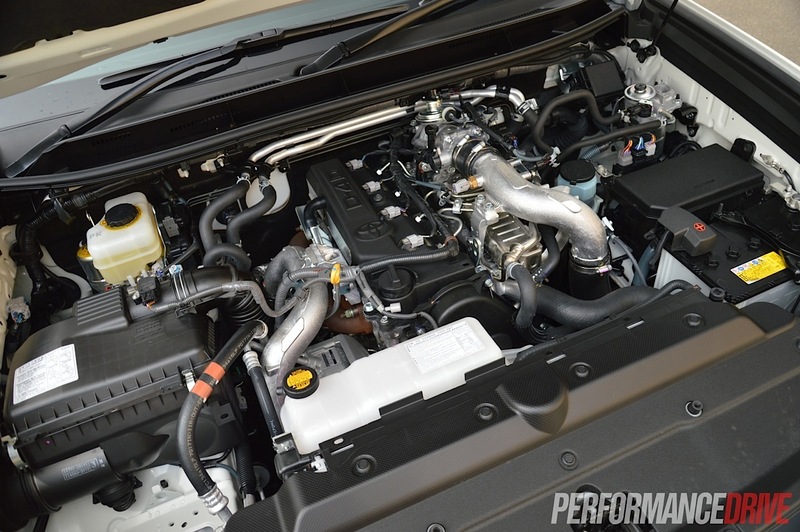 There’s the 4.0-litre petrol V6 producing 202kW, and this, the 3.0-litre turbo-diesel intercooled D4 four-cylinder producing 127kW and 410Nm. 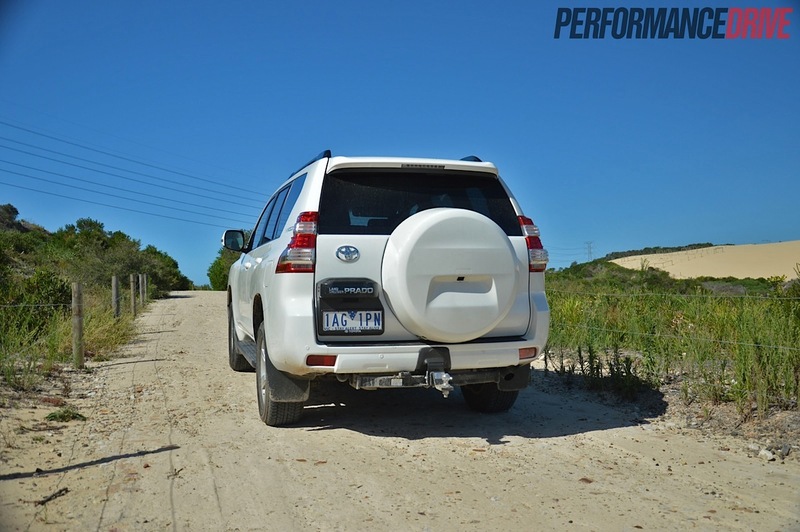 While it’s far from the most powerful proposition in this segment, the trusty diesel engine is the more favourable pick for Aussie consumers with its official fuel economy rating of 8.5L/100km – not bad for a properly-equipped heavy-duty off-roader. However, the fact that it is one of the least powerful packages in this segment has to be taken into account. We think Toyota could have provided some improvements here for the freshened up model. 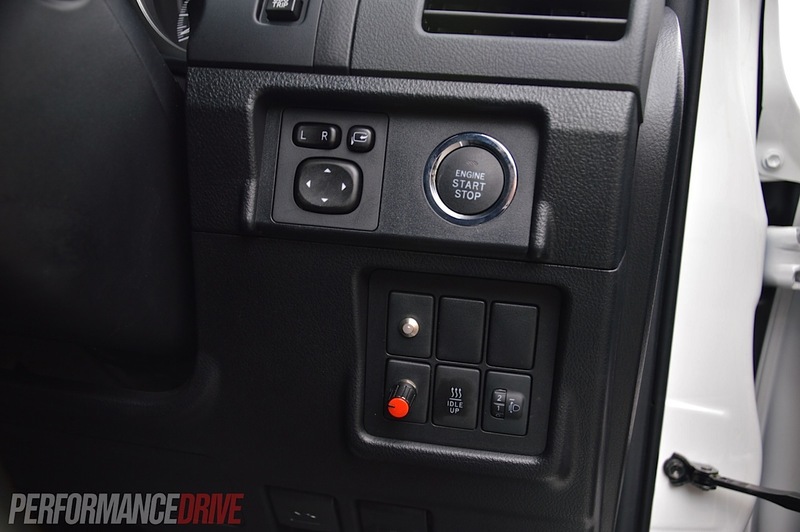 Most variants are fitted with a five-speed automatic transmission with high- and low-range four-wheel drive. 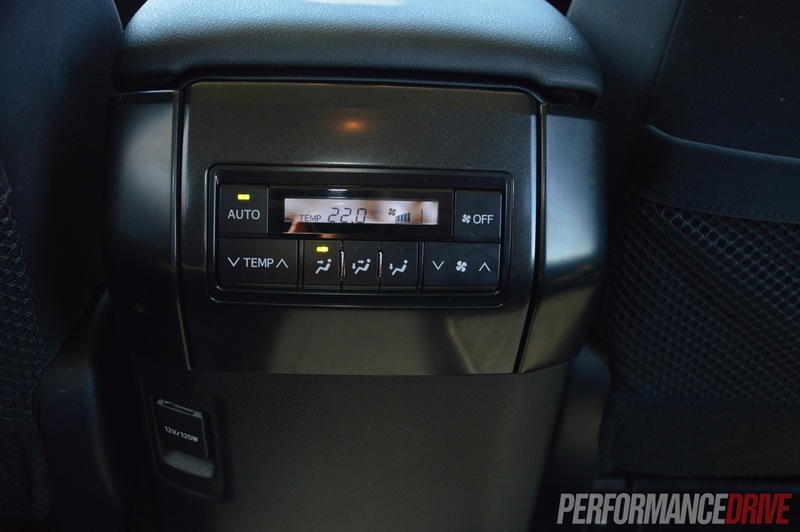 A six-speed manual is available on the entry-level models. 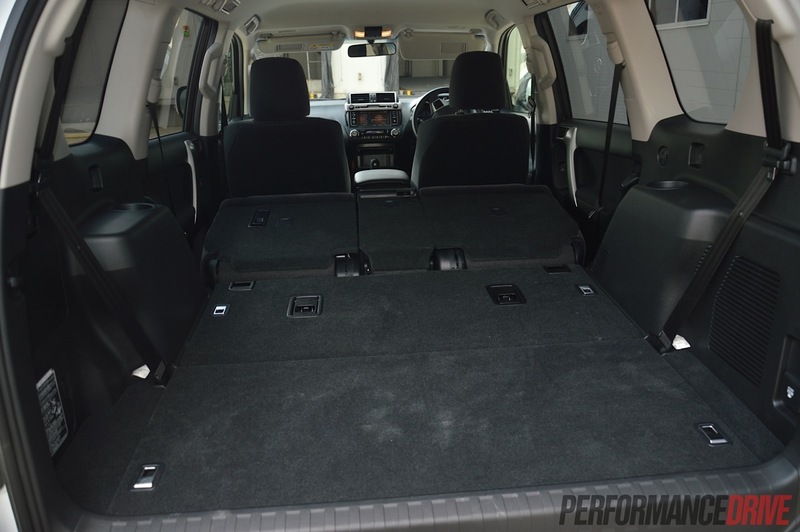 This particular test vehicle is the GXL seven-seater. It sits in about the middle of range, offering a good compromise between equipment and price. 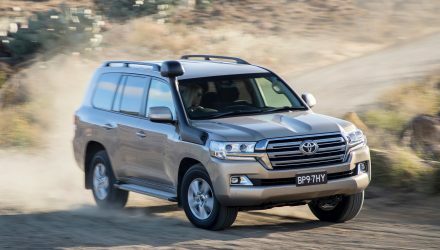 The updated Prado is easily distinguishable by the facelifted front end and the deeper bumper bar, more prominent grille, and ‘leaking’ headlights that now showcase LED daytime running lights. 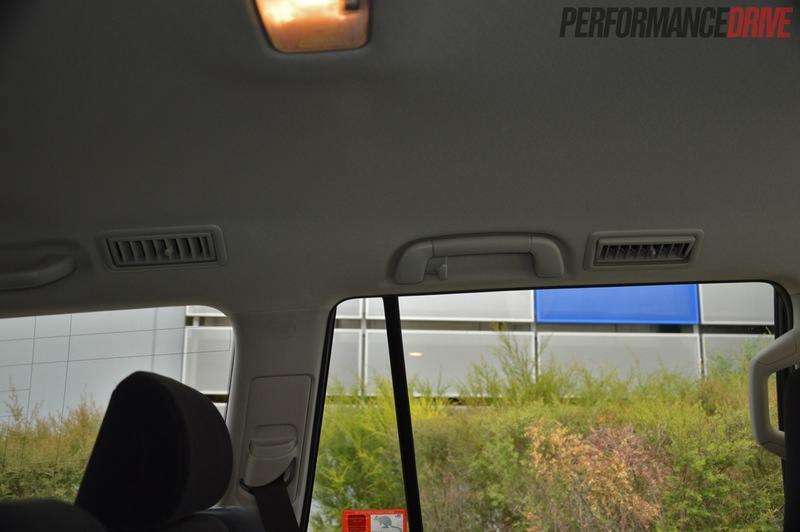 Inside, Toyota has administered light updates in most areas, all aimed at improving convenience and quality. 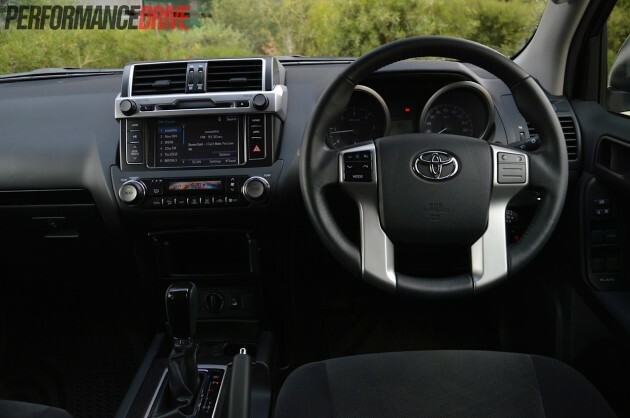 This includes the introduction of a more advanced touch-screen interface embedded into a much-improved dash layout, and the use of higher quality materials for a majority of the cabin for a quieter and more pleasant experience. 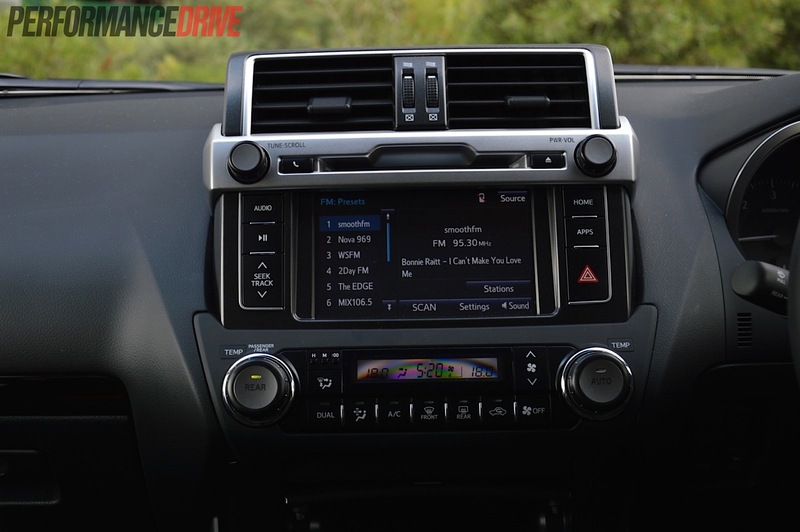 The new multimedia interface replaces Toyota’s notoriously fidgety, aftermarket-like unit that was used in many showroom models in the recent past. It’s now a lot more intuitive, with larger buttons that no longer require needle-point touches to initiate the various menus. 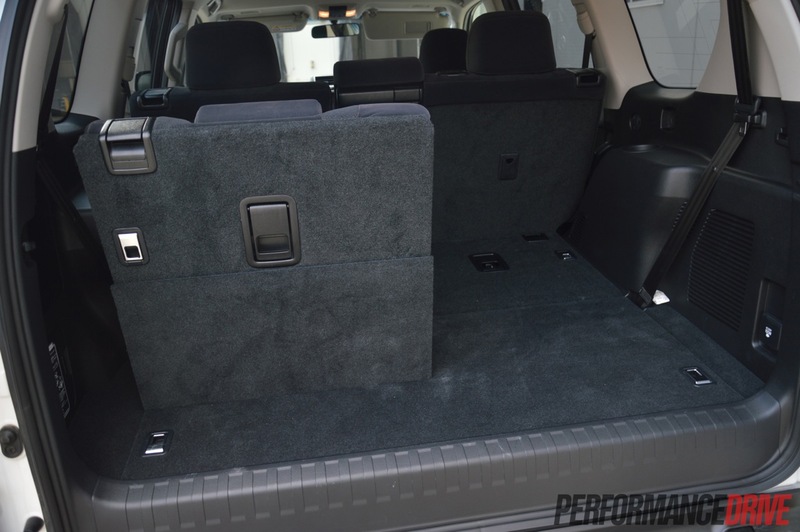 Standard goodies include a six-speaker audio system with iPod and USB support, Bluetooth connectivity, a cooled centre compartment box, cup holders in all three rows, proximity key technology with keyless push-button start, cruise control, power windows and door mirrors, a reversing camera, and multi-zone climate control. 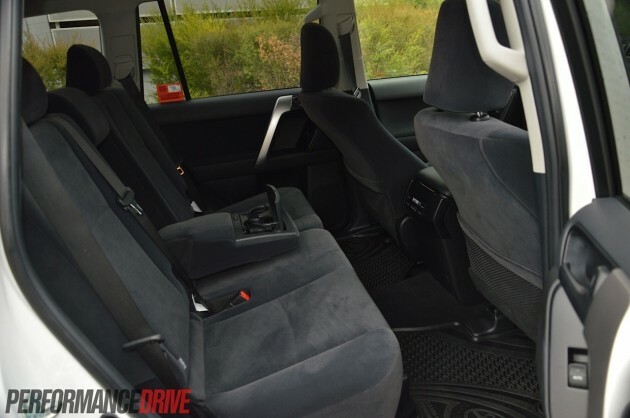 It’s still fairly utilitarian, the cabin decor, and you can immediately tell this vehicle is designed primarily as an all-terrain transportation device as opposed to being an inspiring place to sit. That’s not to say it isn’t comfortable, it is, whether you’re in the front or back. The front chairs are soft and ideal for those long cross-country getaways. If you try to tackle some corners with a bit of urgency though, the lack of upper lateral support means you will flop about a little bit. 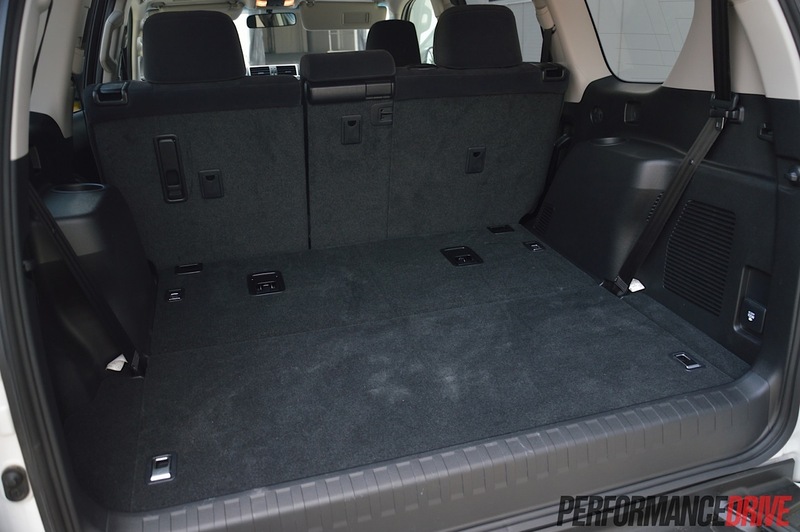 Ample headroom and legroom in the second row makes it ideal for families, and the durable floor with rubber mats means it is ready to get down and dirty. 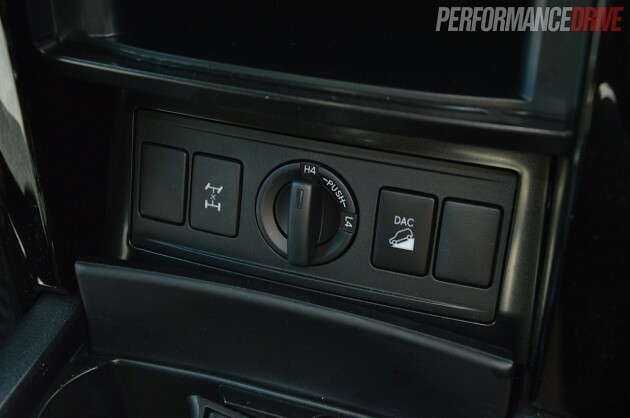 It’s all very user-friendly and convenient – there’s even temperature controls for the second row and air vents in the ceiling for all three rows. 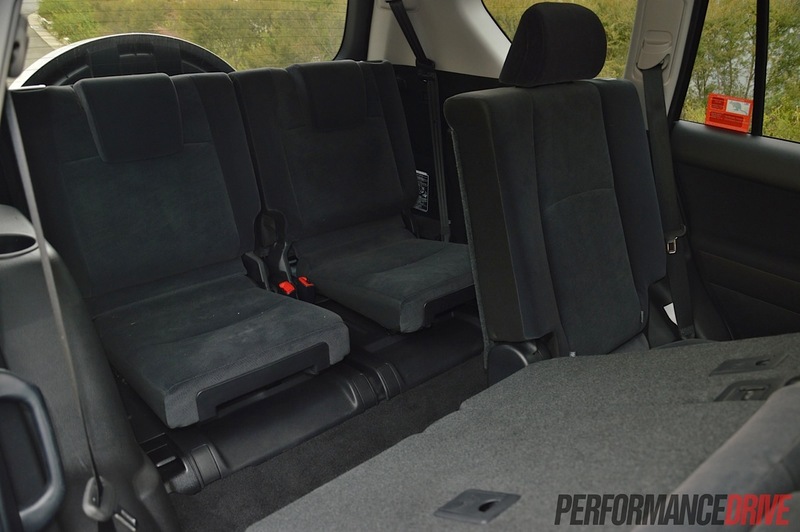 Third row seating is tight and best suited to children, although, adults could spend some time riding in the back for short journeys if they’re keen. 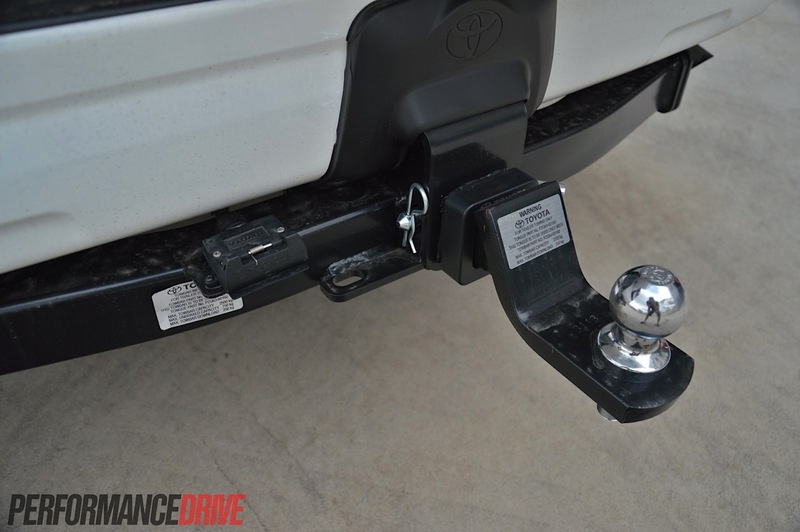 Toyota has implemented a number of refinements for the ride and handling for the 2014 edition, with retuned independent front and live axle rear suspension. 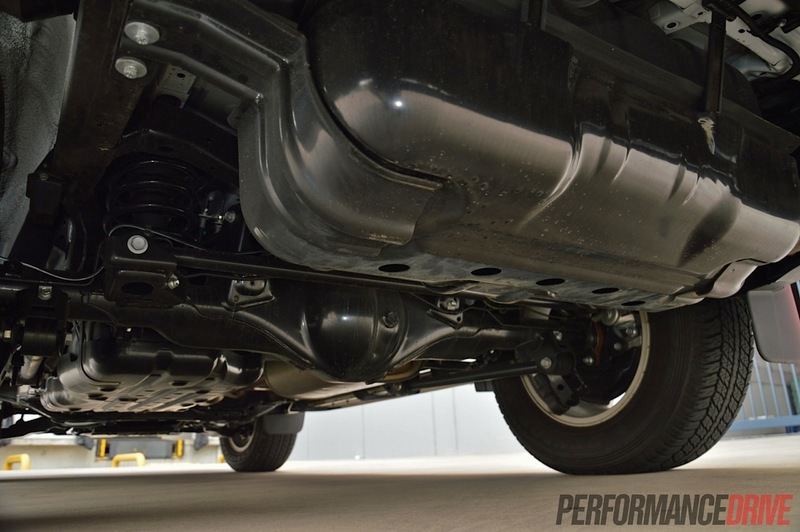 Higher grade variants also get a revised version of the Kinetic Dynamic active suspension setup. 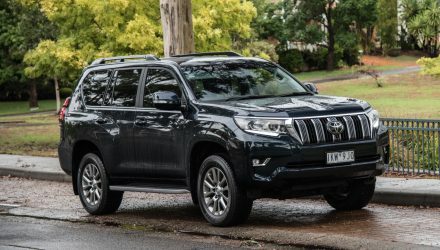 On the road, it presents quite good handling for a genuine off-roader, and it seems a lot nicer to drive compared with rivals such as the Holden Colorado 7 and Mitsubishi Pajero, for example. The steering is communicative and easy, and there’s no real ‘exclusion zone’ or specific point during turns where the vehicle feels out of its depth. Of course, it’s no high distinction sports car but it does come through with at least a distinction in our books. Tight city driving is a breeze thanks to a great turning circle. As for the go-pedal, the big four-banger serves up decent turbo grunt, with almost instant get-up-and-go the moment you hit the accelerator. Maximum torque is available from just 1600rpm. We timed 0-100km/h in 11.5 seconds, which is about average for a big 2330kg beast like this. 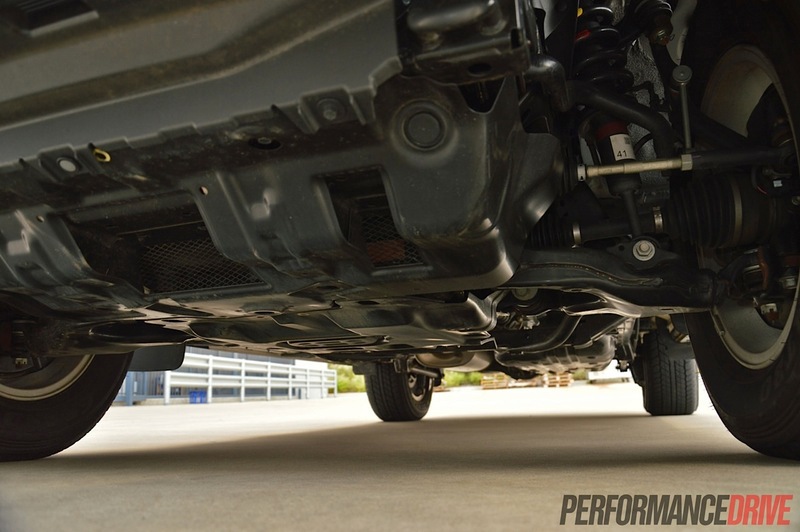 The engine doesn’t mind revving out, but we find it more calming to simply let the transmission work through the gears and use that low-end torque to build speed. Overtaking during lower speeds is no problem, however, out on the highway, your confidence is dampened somewhat by that low power figure. Fuel economy is excellent. There is a big fuel tank, 150 litres in fact, but even so, it seems like it just sips fuel. 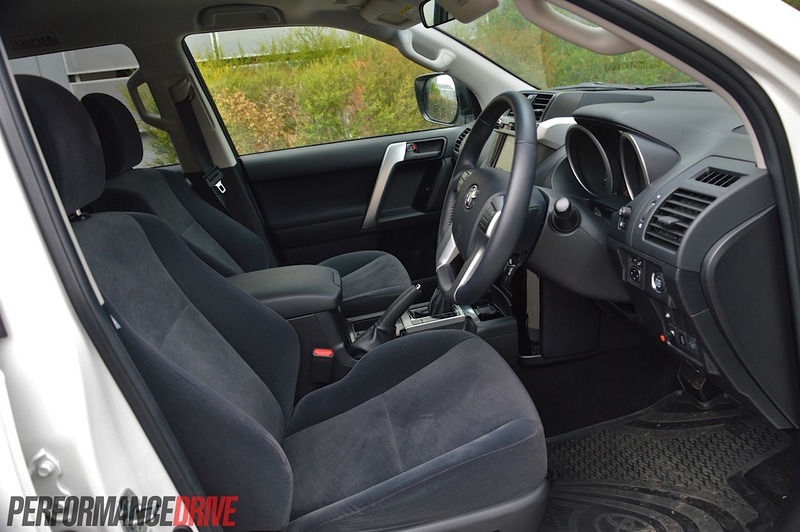 It’s especially economical if you let the transmission work through the gears nice and early. We averaged around 10.7L/100km during our test. 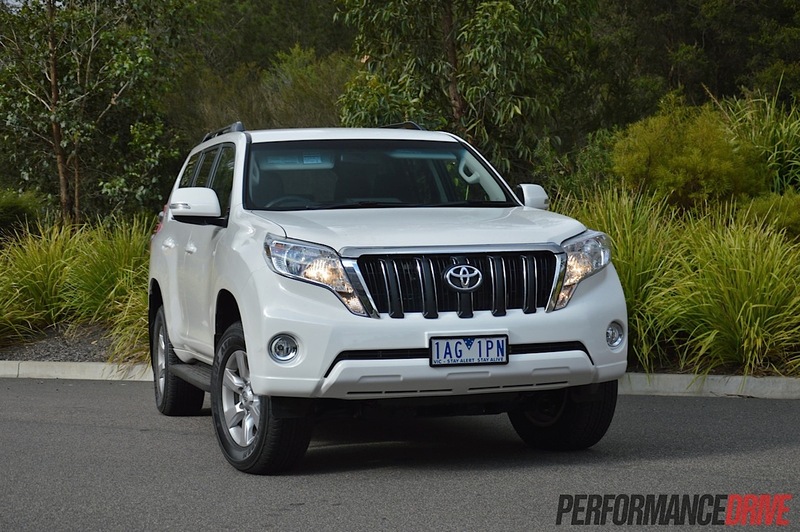 With an official rating of 8.5L/100km, its theoretical range is an incredible 1765km. Diesel clatter is minimal. From within the cabin it’s obvious it is a diesel but it’s far from intrusive. Again, so long as you keep the revs down and let the transmission do its work. Speaking of the transmission, it is getting a bit old now and only offers five gears. In a world of six, seven and even eight-speed autos, the fewer span of ratios means there is a compromise between acceleration and speed. In other words, the engine does hum along in freeway conditions. 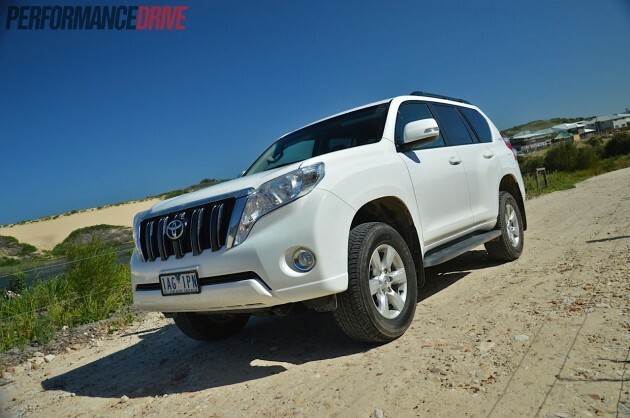 Soon comes a time when you want to take the plucky Prado off road, as that is its natural habitat. 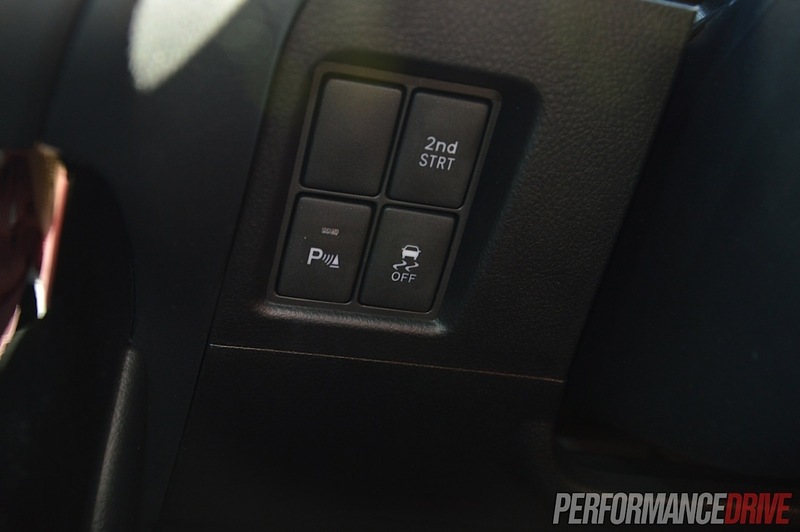 The Prado comes with an electric transfer case with switch-operated high- and low-range, as opposed to the old lever type. They provide drive ratios of 1:1 and 2.566:1, respectively. If you find yourself in seriously sticky situations, the GXL offers a Torsen limited-slip and lockable centre differential, as well as a CRAWL idle dial system for the extreme slow-speed stuff. Armed with an impressive 220mm ground clearance and 32-degree approach and 25-degree departure angles, there aren’t many tracks this machine can’t conquer. 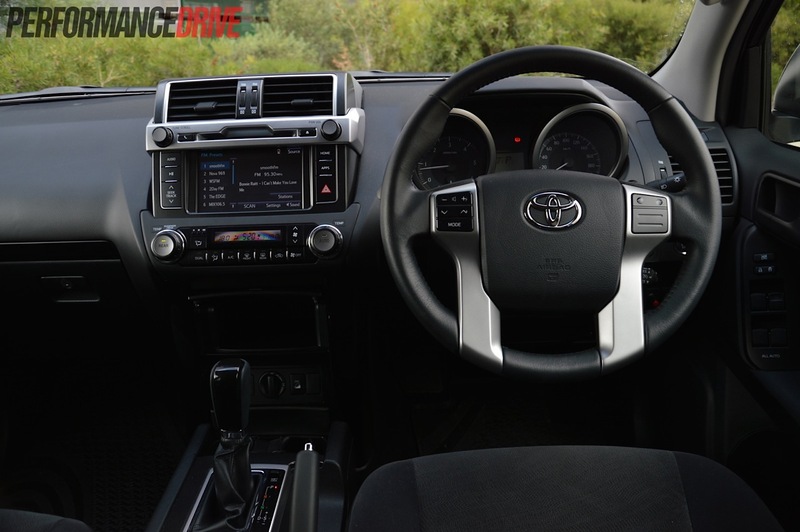 Relatively soft suspension results in smooth driving on dirt and corrugated roads, and the big ground clearance paired with an outstanding approach angle means it is one of the best off-roaders in this segment. 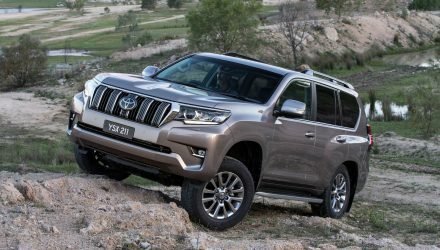 That fact that the FJ Cruiser – one the best off-road vehicles on the market at the moment – is based on the Prado is a true testament to its all-terrain wisdom and skill. Four-piston front brakes, three skid plates underneath, and that long-range 150-litre fuel tank make it the perfect vehicle to travel around Australia. It’s prepared for anything. 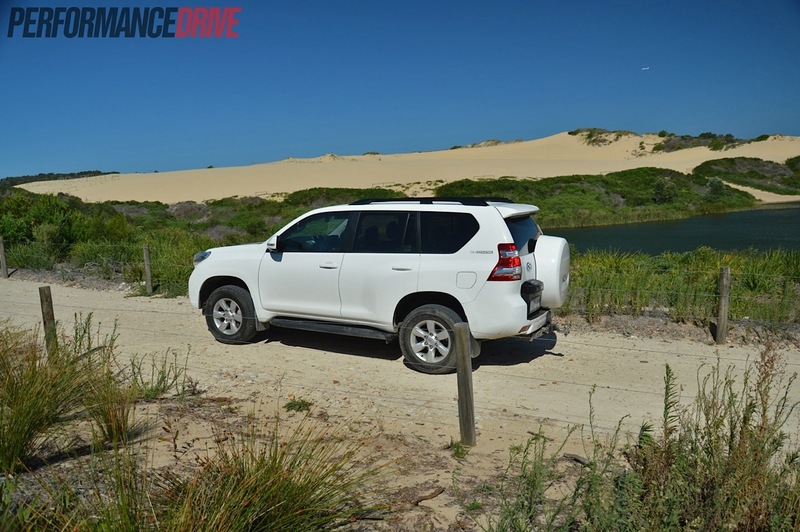 Not only do families enjoy on the Prado, with its seven-seat options and sincere user-friendliness, many government and military organisations – such as the United Nations – rely on these for serious duties in remote areas all around the world. We have no doubt Toyota off-road vehicles like the Prado are probably the most well-travelled in the world. They’ve been tested, tortured, and trusted by millions the world over; it has no choice but to be the best.